Douglas M. Brown is a recognized financial leader with many years of banking and finance experience, currently as the head of Brown and Brown Ventures. 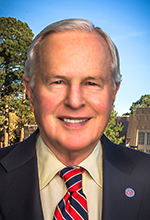 Brown was previously appointed to the UNM Board of Regents in 2003 and served on the board until he was appointed State Treasurer of New Mexico in 2005, where he achieved the state’s first AAA rating from Standard & Poor’s. He served as the Dean of the UNM Anderson School of Management from 2009 to 2014 and was awarded the title of Dean Emeritus upon retirement. Other previous positions include Trustee of Stanford University, CEO of Tuition Plan Consortium, CEO of Talbot Financial, CEO of ABQ Bank, and EVP of Wells Fargo Bank. In 2013, Brown was named Top CEO of the Year by Albuquerque Business First, and in 2015 was awarded the Distinguished Leadership Award by Leadership NM. Brown has been active in the non-profit sector as well, serving on over fifty boards of directors including chairing twenty of them. Locally, his chairmanships have included the United Way, Albuquerque Academy, Albuquerque Community Foundation, Anderson Foundation, and Santa Fe Chamber Music Festival. Brown holds a Bachelor’s and an MBA from Stanford University. Doug Brown has also served on 14 boards and commissions for the State of New Mexico. Kim Sanchez Rael is a passionate business leader, a startup veteran and investor in innovation. She has extensive experience as an operating executive and as a venture capitalist, focusing on early-stage investments in technology companies. Rael is currently the President and CEO of SRE Wellness, Inc. (dba Azuca). Rael has an extensive background in both startup and fortune 50 Companies. Before her career in venture, she co-founded an advanced energy company and held numerous management positions at Intel, where she managed a $200 million capital budget, led planning for a $1 Billion expansion, and held roles in finance, operations and strategic planning. Prior to Intel, she served as an aide in the US Senate focusing on foreign affairs and science and technology policy. Rael has broad experience on both corporate and community boards. Her corporate board experience spans multiple industries, including: water technology, semiconductors, software-as-a-service, digital media and advanced materials companies. Rael’s community board service includes: New Mexico State Board of Finance; Presbyterian Hospital, the Albuquerque Public Schools Foundation and the Arts Alliance. Rael was the Founding President for a Montessori Charter School. She has been featured as New Mexico Business Weekly Power Broker and Top 10 Women of Influence. Rael is a member of the prestigious international Society of Kauffman Fellows, a Rotary Scholar and is a member of the Board of Directors of the International Women’s Forum-New Mexico. Rael has a bachelor’s degree in International Relations from Harvard and an MBA from Stanford. 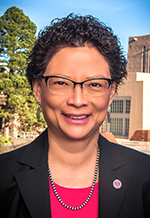 Sandra K. Begay is a former regent of the University of New Mexico and was recently appointed by Mayor Tim Keller as the Director of the Environmental Health Department for the city of Albuquerque. Begay worked for Sandia National Laboratories for 27 years as a Principal Member of the Technical Staff and headed Sandia's technical efforts in the Indian Energy Program to assist Native American tribes with renewable energy development. Prior to this, she also worked at Lawrence Livermore Laboratories and at Los Alamos National Laboratory. Begay is a former Executive Director of the American Indian Science and Engineering Society (AISES), former chair of the AISES Board of Directors, and the recipient of the AISES Lifetime Achievement Award. Begay was a founder of the UNM AISES Chapter as a student leader. In 2000, Begay was the recipient of the Stanford University 2000 Multicultural Alumni of the Year Award. She has also been selected as a recipient of the Governor's Award for Outstanding Women from the New Mexico Commission on the Status of Women. Begay recently received the Alumni Circle Award from the National Action Council for Minorities in Engineering (NACME) for her lifetime contributions to the advancement of Native American students in science, technology, engineering and math (STEM) education and careers. Currently, Begay is the site mentor at UNM-Gallup for the NM Rainforest University Center program. Begay holds a Bachelor's in Civil Engineering from UNM and a Master's in Structural Engineering from Stanford University. Robert Doughty graduated from New Mexico State University in 1994 with a Bachelor of Criminal Justice. In 1998, Mr. Doughty received his Juris Doctorate from the University of New Mexico School of Law. While in law school, Mr. Doughty was active in trial practice and oral advocacy, was on the honor roll and was a legal extern for the Honorable John E. Conway, Chief Judge of the United States District Court, District of New Mexico. Mr. Doughty was admitted to the New Mexico Bar in 1998 and began his law career at a firm specializing in Plaintiff's catastrophic personal injury cases. Later he joined a large insurance defense firm. In August 2005, Mr. Doughty became a shareholder with Doughty, Alcaraz & deGraauw, P.A. Mr. Doughty is licensed to practice in New Mexico State Courts, The United States District Court for the District of New Mexico, and the Tenth Circuit Court of Appeals. Mr. Doughty has earned an AV "Preeminent" Martindale-Hubbell Peer Review Rating, demonstrating the highest rating available for his legal ability and professional ethics. 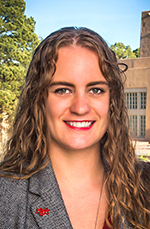 Melissa C Henry is a Counselor Education and Supervision Doctoral Candidate in the department of Individual, Family, and Community Education located in UNM's College of Education. Henry received her BA in Psychology and MS in Marriage, Family, and Child Counseling at Fresno State, in California. Melissa Henry moved to Albuquerque, New Mexico in August 2016 to begin her Ph.D.
Henry is a Licensed Mental Health Counselor and currently practices couples and individual counseling at a local private practice. While in New Mexico, Henry has volunteered at UNM's Manzanita Counseling Center, served as Chief of Staff of the Graduate and Professional Student Association (GPSA) and on the GPSA Grants committee, and was a Student Fee Review Board (SFRB) member for FY 2019-2020 budget cycle. Henry also teaches as a Graduate Teaching Assistant (GA/TA) in the Family Studies and Counseling program both undergraduate and graduate courses. Marron Lee serves as chair of both the New Mexico Crime Victims Reparation Commission and the New Mexico Sentencing Commission. 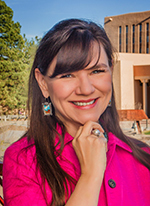 She worked in the U.S. Attorney's office from 2001 to 2004 prosecuting cases related to violent crime, and abuse and neglect of children on tribal lands in New Mexico. Lee started her legal career in New Mexico as a prosecutor in the 3rd Judicial District Attorney's Office in 1998. Marron Lee also served on Senator Domenici's Washington, D.C. staff from 1989 to 1995. She has served on the New Mexico Museum of Natural History Foundation and the Albuquerque Museum Foundation Boards of Directors and is a member of P.E.O. International and is the parents’ association vice-president at Manzano Day School. Lee and her family have worked to establish scholarships at the university and are proud supporters of Lobo athletics. Robert L. Schwartz has more than forty years of experience in teaching law at universities across the country and the world, spending most of his professional career at the University of New Mexico School of Law, where he is the Henry Weihofen Professor of Law Emeritus. 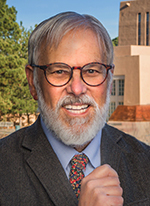 After joining the UNM law faculty in 1976, Schwartz focused his research and teaching in the emerging field of Health Law and has gone on to become a nationally recognized scholar in the area of Bioethics, bringing this expertise also into School of Medicine classrooms. Schwartz is one of five authors of Health Law: Cases, Materials and Problems, the leading Health Law textbook in the country first published in 1987; has written Treatise on Health Law, a two-volume textbook published in 1995; and is co-editor of a volume of Health Law statutes published in 2003. Most recently, Schwartz; writing is in the areas of end-of-life care, death and dying, managed care and the application of civil liberties principles to the health care enterprise. Schwartz has served on the editorial boards of the Cambridge Quarterly of Healthcare Ethics, Journal of Contemporary Health Law and Policy and the Medical Law Review. Through the World Health Organization, he has worked as a consultant on health legislation in Cambodia, Tonga and Vietnam. Schwartz has previously served as General Counsel for the New Mexico Human Services Department and the Chair of the New Mexico Health Policy Commission. Schwartz holds a Bachelors in Philosophy from Stanford University and a J.D. from Harvard Law School.